In March we had the privilege of doing something that I have long-wanted to do! We helped with getting the place ready. As the flow of people began to increase I helped with registration as best I could with my limited ability in Mongolian. Part way through the first session I walked into an auditorium where nearly 200 people were seated, listening attentively to the message of a seminar that has greatly influenced and impacted our family’s life. 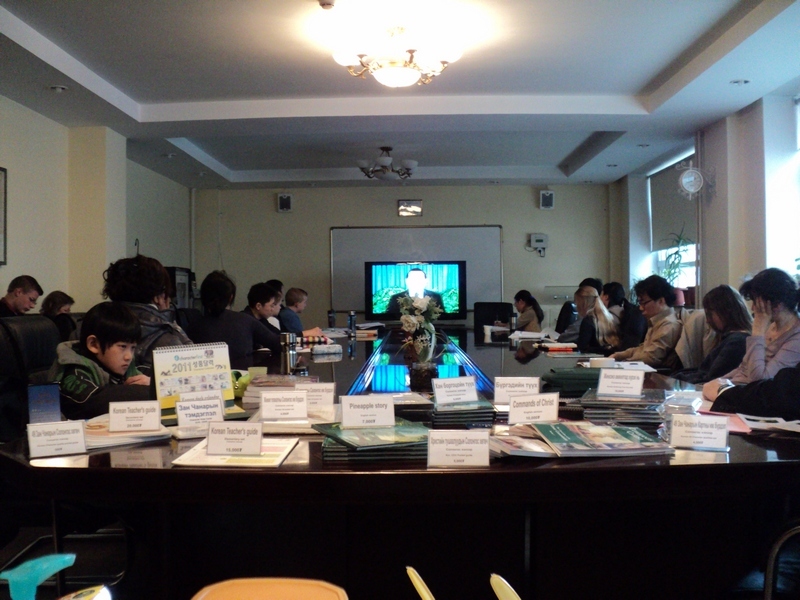 This is the third Mongolian Basic Seminar that has been shown now. 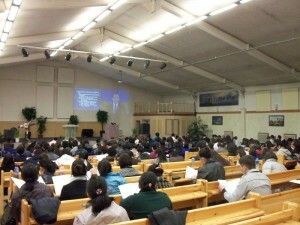 What a blessing to see a people group that I love, listening so attentively to the Seminar in their own language! One of the neat stories that came out of this week was from a couple who recently had begun coming to church. They came to the seminar and there decided that they were going to burn and destroy their idols! 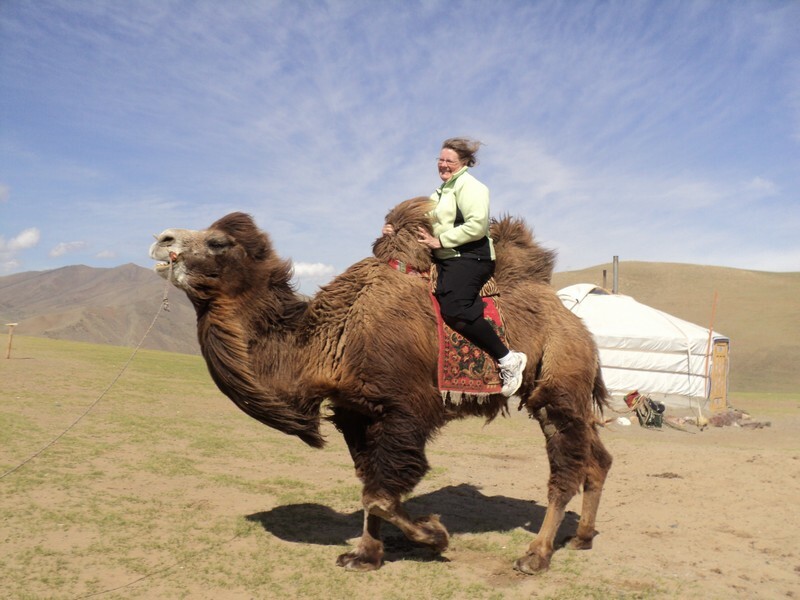 It is amazing to think of the reality of some of these things here in Mongolia. Praise the Lord for working in many lives during the week! As the attendees were leaving after the last session there were “thank you’s” that came from many. One staff person noted that by the end of the Seminar there were more smiles on the faces of the attendees than at the beginning. The following week, though it was much smaller, we were able to hold the same seminar for English speakers, most of which were Koreans. Our whole family was able to attend the Seminar as well, which was a blessing as I have not been through the whole Seminar for a few years. Following the Basic Seminars my Dad began teaching a seven-week, condensed, follow-up course to the Basic Seminar. With so much information and many practical truths shared in the 32 hours of the Basic Seminar, it is helpful to be reminded of the truths shared in the Basic Seminar at a slower pace, as well as being able to ask questions. With about 45 people in attendance, my Dad shares on a principle for one night, sharing on a new principle each week. Many sit and hungrily listen to the life-changing truths that are shared; many of them taking notes as my Dad goes through the power-points. And, if he goes to fast for them to take down what is on the slide, they let him know so that he can slow down or go back to the slide he was on so they can copy it down. They are hungry for the principles of God’s Word! We have had several that have shared testimonies for the group, of what God has done in their life through applying these Basic Principles of life. We have gotten to participate in some trainings, as well, while we have been here. 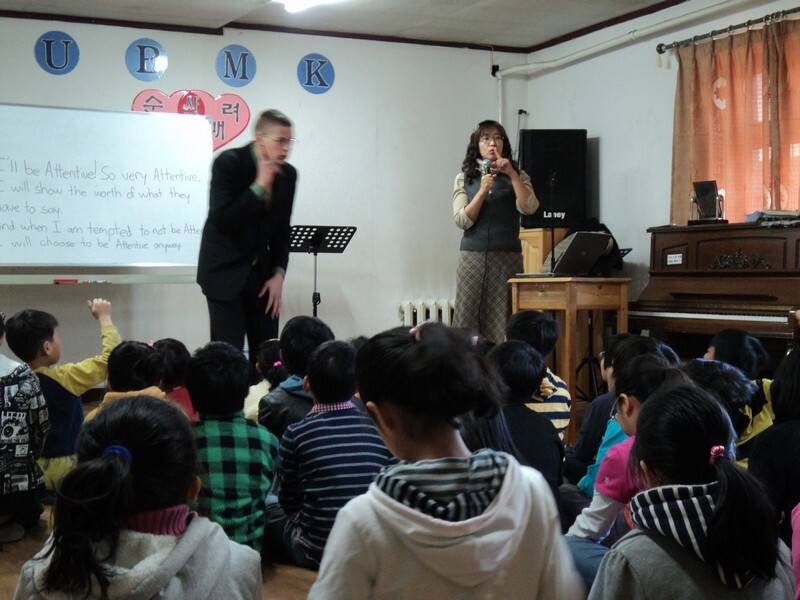 One of the on-going trainings that Samuel and I have been involved in is for the UBMK (Ulaanbaatar Missionary Kids) School. 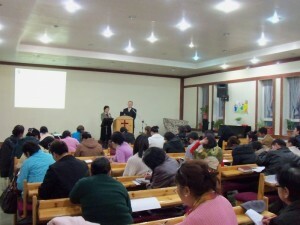 It is a school for Korean missionary children whose parents are serving in Mongolia. 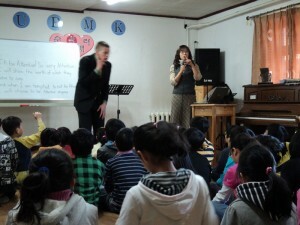 We have the opportunity to speak into the lives of 60+ children and teenagers. The leadership have been very gracious and hospitable. 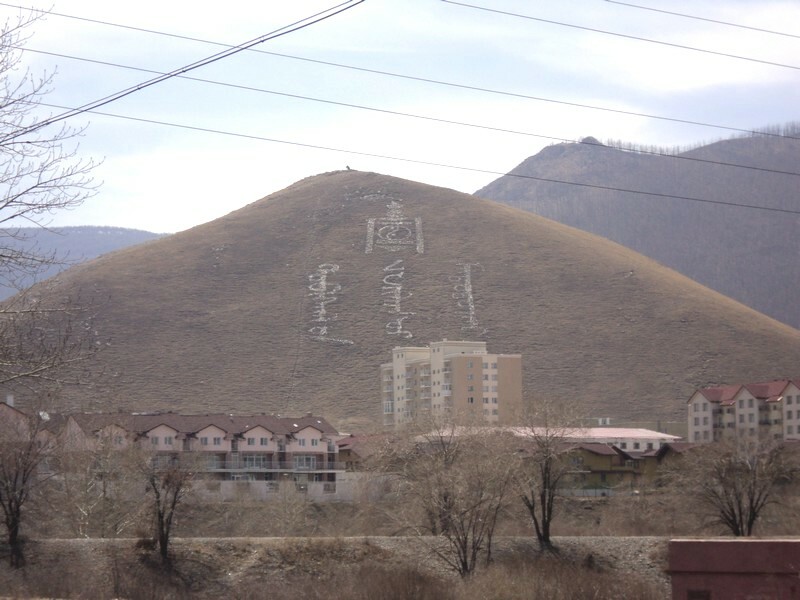 It is a nice way to continue our connection with the Koreans even as we are here in Mongolia. The opportunity was given to Samuel and I to teach the final class for a group of College Seniors. There teacher, a Korean lady, had invested in their lives in the previous 15 class times and wanted us to give them a challenge as they go out into the world. There major is English, which allowed us to teach them in English without translation. What a privilege and exciting opportunity! Samuel and I planned what we would teach and arrived at the University. God’s ways are so much different than our ways! Samuel and I walked into the University, only one of us a graduate from high school (though Samuel is very close, graduating this year!) 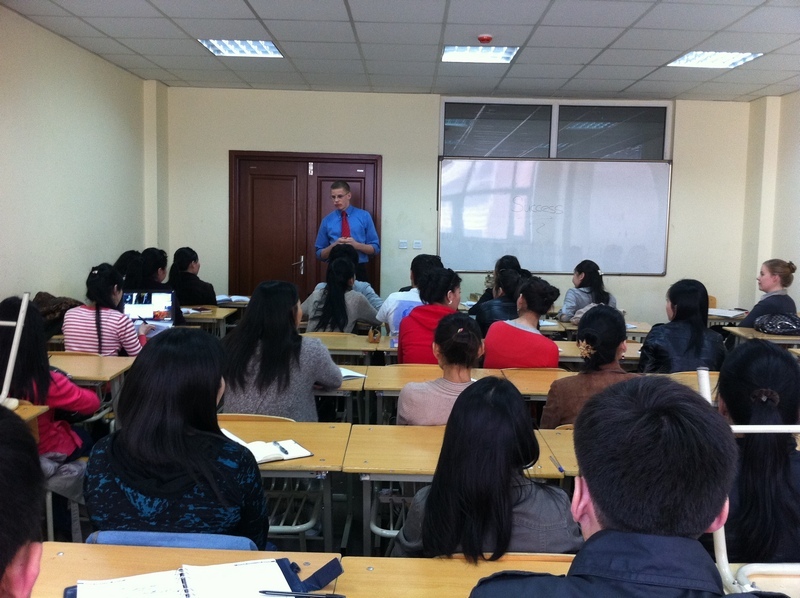 going to teach a class of students who were going to be graduating from College! It was a special opportunity though as we shared about the importance and impact of the choices that we make. One of the illustrations we used was of a block tower. Each block in the tower represents a choice that we make. If we choose to make right choices we will have a solid tower, however if we make wrong choices, our “towers” will not stand when the pressure comes. After completing the building of a good tower we tried the tower with a couple of tests. The final test was having 170lbs. of weight placed on the tower-in the form of Samuel :-). As Samuel stood on the tower he was challenging the students with the question of, if little choices really matter. Does it really matter if I steal money? Even two dollars worth? As the students sat there and watched, some agreed that that would not be a problem. Each block however represents one choice. When Samuel was ready, I pulled one of the blocks from the tower he was standing on. The tower fell to the floor and Samuel, having much practice, came down and safely landed on his feet. But, the tower was ruined! Did one choice really matter? As we were nearing the end of the class time, we asked if any one had any questions. A young man in the back row raised his hand, “How can we rebuild the tower once it has fallen down?” “I wasn’t listening to that part could you tell it again?” We were able to explain to the class how when we do what is wrong, we can make it right by going back to the one we hurt and asking for their forgiveness. What a blessing to know that the message we were sharing had reached this young man’s heart. And that he, a young man probably in his twenties, was willing to raise his hand and ask that question in front of all his classmates. With only twelve short weeks here, we decided that we should take advantage of the free Saturday we had and take a climb up Script Hill. I really don’t enjoy hiking, but today I was actually one of the ones suggesting we go. Rebecca prepared some peanut butter and jelly sandwiches, and some chocolate chip cookies to bring with us on our hike. 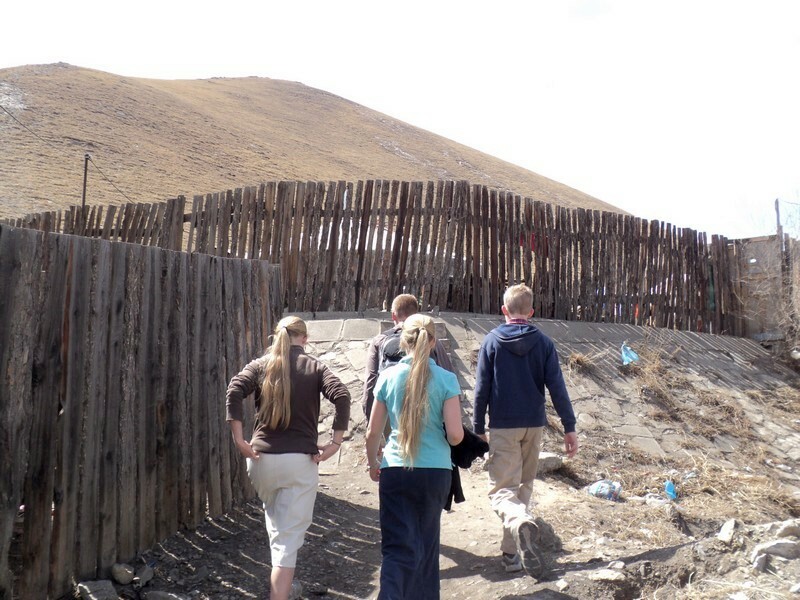 We got ready to go and walked down to where we could get a bus that would take us within about three-quarters of a mile from the foot of the mountain. We could have taken another bus from that point, but we just walked instead. Script Hill is a steep shorter climb and we made it up in about 20min. We ate our lunch at the top of the mountain, before hiking further up the real mountain. It was a lot of fun and I actually really enjoyed the hike. 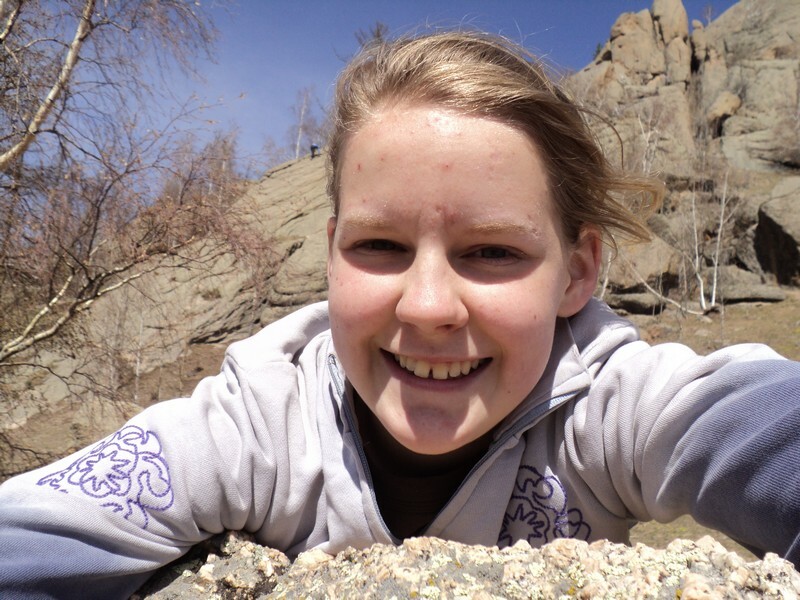 We got to climb up some steep parts and got to take a lot of nice pictures. It was a special time of building memories and of walking through memories from the past. At the top we each ate our second cookie and sang a couple of songs in Mongolian before heading back down the mountain and returning home. A driver was called and before too long we were on our way! After driving for about an hour and a half we arrived and were able to climb “Turtle Rock”. 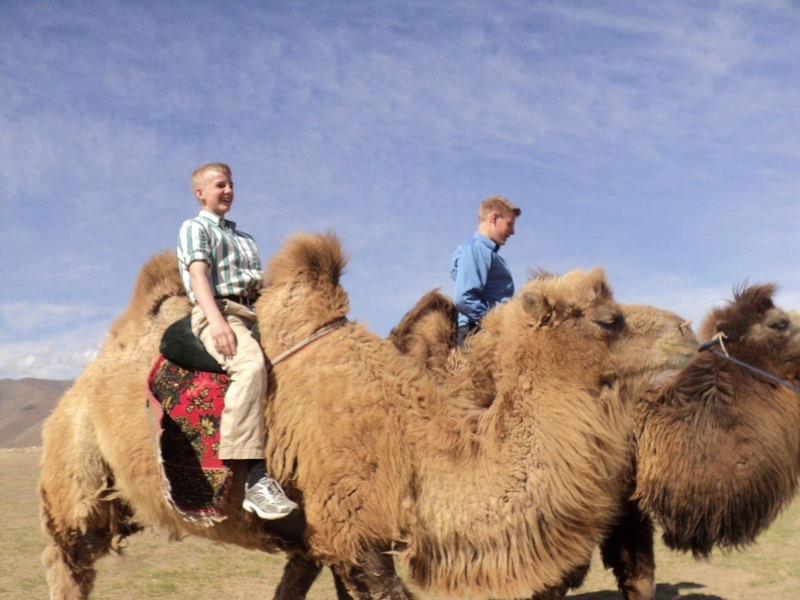 Adam came to Mongolia for a 12 day visit and was able to join us for this special trip, which included each of us getting to ride Mongolian horses as well as camels! Below are some pictures!